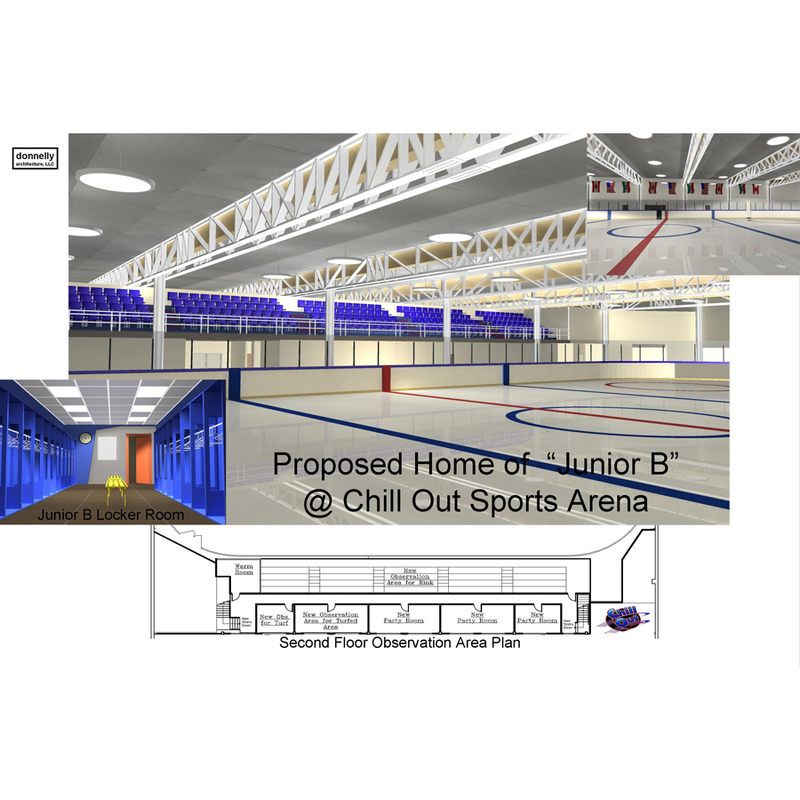 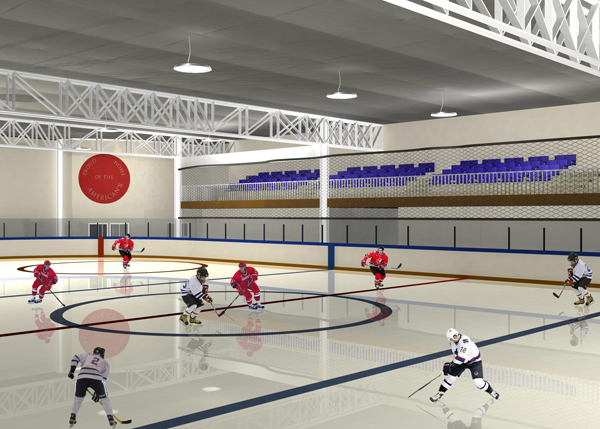 The existing Sports Arena wanted a comfortable viewing platform so we designed an enclosed Second Floor; now practice and games could be easily viewed from above while sitting in a heated space rather than viewing the sport in a cold arena. 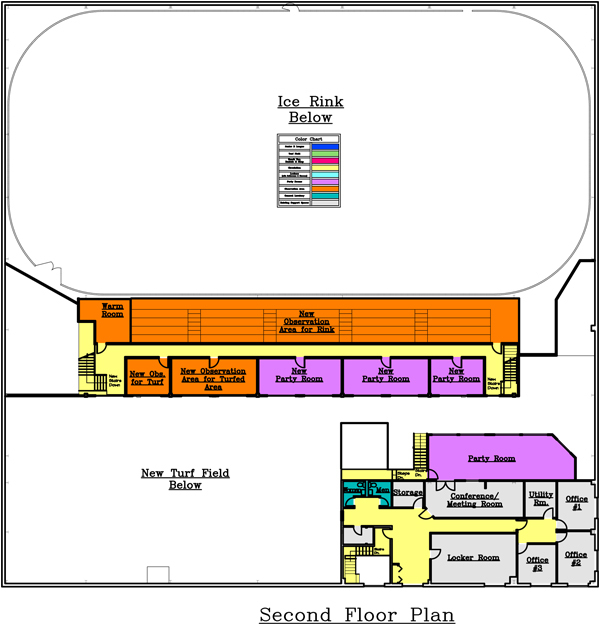 They also wanted to attract other sports so we created a ‘turf field’ (also with viewing from above) as seen on the colored first floor plan. 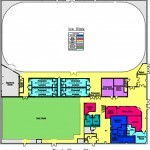 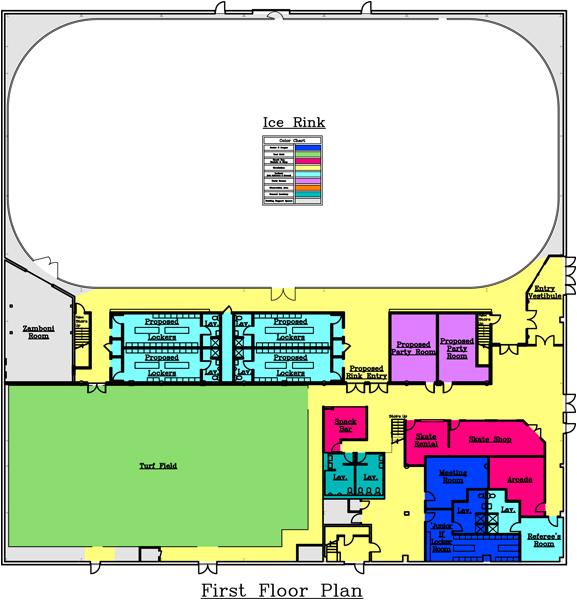 Other spaces were also created that included a snack bar, party rooms and offices.